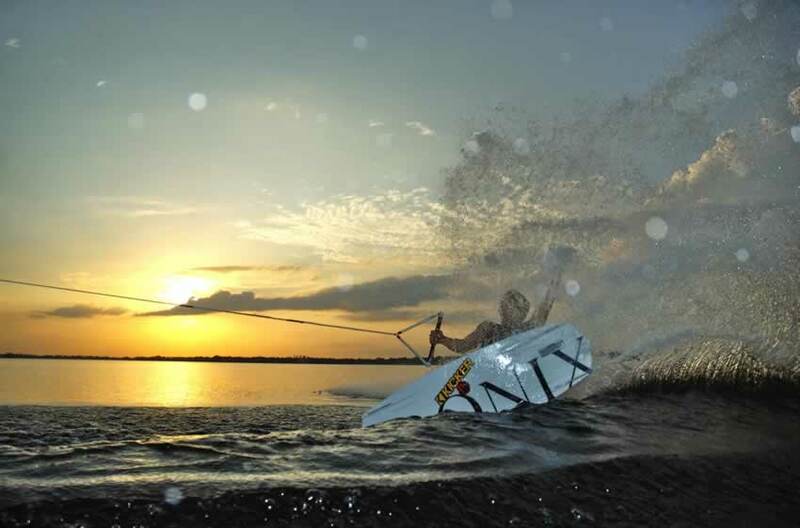 Since its inception, the popularity of wakeboarding has been growing by leaps and bounds. These days, wakeboards are ubiquitous on Okanagan Lake throughout the summer months. From the debut of the Skurfer in the mid-80s, gear has evolved to include high-tech twin-tip wakeboards with high wrap secure bindings, wakeskates, no-stretch ropes and specialized wakeboard boats. While a decade ago it was rare to see a tower on a ski boat, there are now few on our lakes without one. With the development of V Drive tournament boats, skiers and their friends now enjoy more comfort and storage, better handling when the lake kicks up, and hugely adjustable wakes that can be ‘dialed in’ to each rider’s ability and style. Over the years, the Okanagan Valley has produced some exceptionally talented wakeboarders whose successes on the professional circuit have made them known the world over. 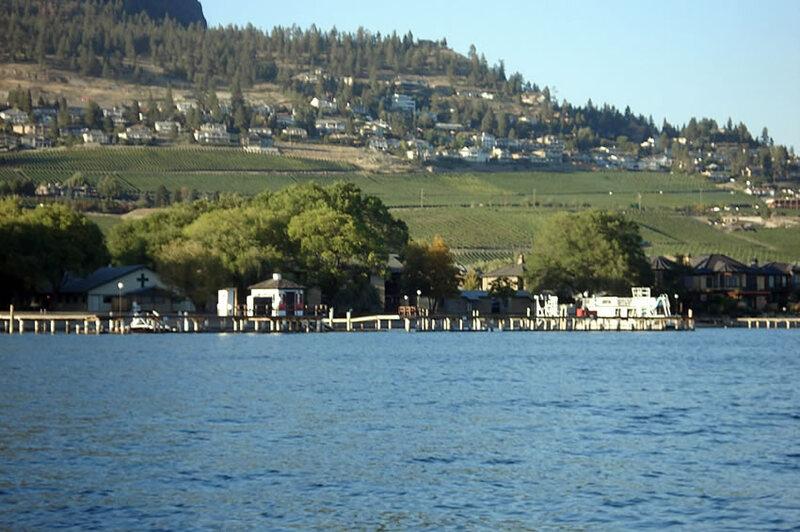 For seven years until its discontinuation in 2008, Wakefest Kelowna was one of the most popular wakeboarding events on the professional tour, drawing 30,000-plus spectators each year. With live bands, onsite vendors, bikini contests, and a lively beer garden, it was one of the biggest events that Kelowna regularly hosted. 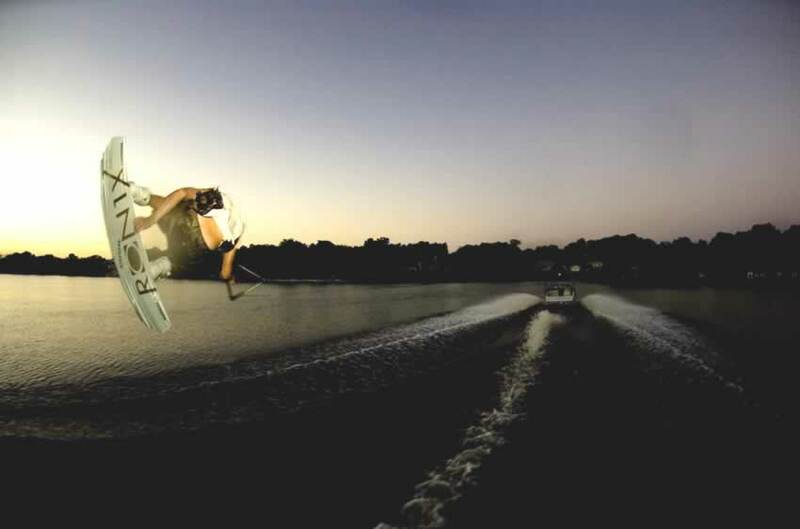 Wakeboarding does not require the glassy water conditions that slalom skiing does, so throughout the warm summer months you can see boarders on the lake nearly any time of the day. Among the wakeboard schools in the Kelowna area is the Westside’s Greenbay Bible Camp (See their website) which introduces water sports to thousands of kids every year. 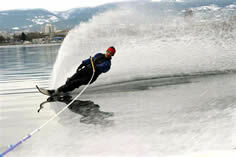 Wakeboarding’s ever-growing popularity worldwide is directly reflected in its widespread Okanagan presence. Just as its founders intended, it is an immensely enjoyable sport that the entire family can enjoy. Check back soon for for new wake boarding updates, photos and videos. 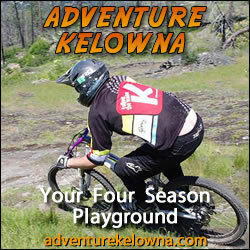 For more Kelowna watersport information and videos check out waterskiing and wakesurfing.